We have prepared composite materials based on natural silicates: vermiculite modified with cellulose and nontronite modified with an alkaline rice husk hydrolysate. The materials have been characterized by X-ray diffraction, IR spectroscopy, and positron annihilation spectroscopy, and their specific surface area, sorption capacity (for model dye solutions), and tribological properties have been assessed. It has been shown that cellulose in the vermiculite-based composite material is incorporated between the aluminosilicate layers, forming a new crystalline phase. The nontronite-based composite material reduces the wear of friction pairs by a factor of 2.5 to 7. Original Russian Text © N.P. Shapkin, I.G. Khal’chenko, A.E. Panasenko, L.B. Leont’ev, V.I. 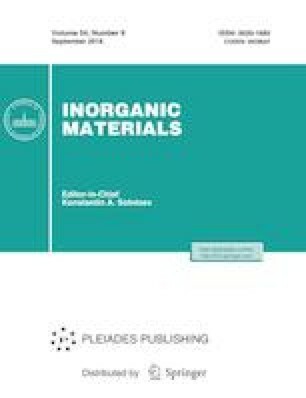 Razov, 2018, published in Neorganicheskie Materialy, 2018, Vol. 54, No. 9, pp. 1020–1024.